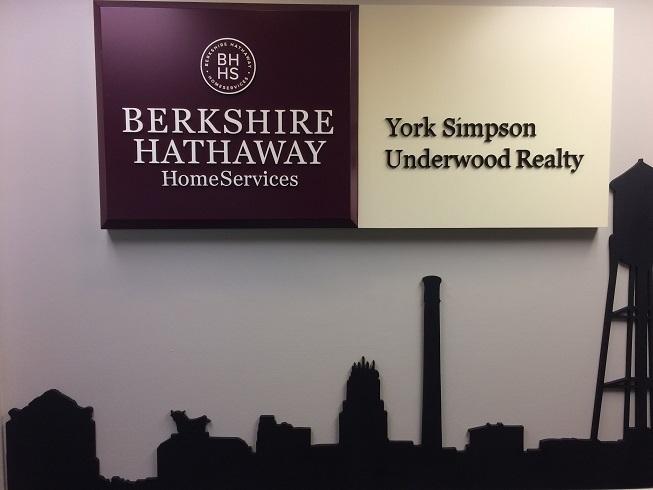 Thanks again to Berkshire Hathaway Home Services Realty in Durham ! 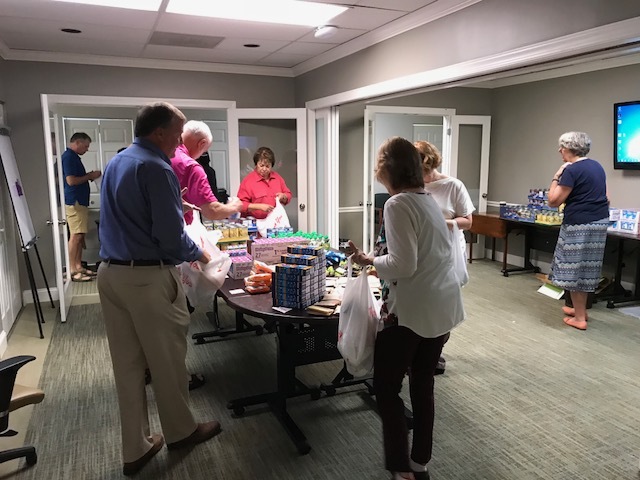 We just started Backpack Buddies packing and delivery again for the new school year, but had a few anxious weeks over the summer, while we searched for another Host organization willing to let us invade their turf at 7 AM, carrying cartons of cans, and burdened with bulging bins ! Happily, our intrepid member Sally Clark consulted with her colleague Tracy Goetz, Managing Broker at York Simpson Underwood / Berkshire Hathaway Home Services Realty, on Morreene Road — and presto, we have a new packing place ! What a great location — despite improvising all the way, we finished 20 minutes early, something nearly unheard-of for us, and in our first visit ! It was also great to have our friend Amber Simmons, a Backpack Buddies coordinator at our Partner organization, the Interfaith Food Shuttle, join us as well !